– English translation of Sūrat al-Balad. – The prophecy regarding the conquest of Makkah. – Reflecting on the difficult life of Rasūlullāh ﷺ. – Allah’s favours upon us and being questioned about them on the Day of Judgement. – The encouragement to feed the hungry, look after orphans and free the slaves. 9:24 – What were the Quraish’s views about the afterlife? 18:10 – What prestige and bounties did the the Quraish enjoy in Arabia? 25:24 – What is meant by ‘being lawful’? 35:30 – Does every living thing have to struggle? 43:29 – How difficult was the life of Rasūlullāh ﷺ ? 48:30 – Man spends to get something. 53:39 – How is man deluded by wealth? 1:03:00 – What 4 things will we be Questioned about on the Day of Judgement? 1:12:57 – Why do you live your life in that manner? 1:29:41 – Which deed will take you closer to Jannah? 1:36:05 – The high intelligence of man. 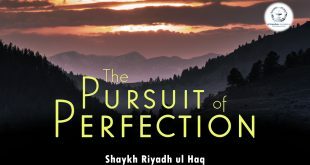 1:46:32 – Is Individual piety enough?